Brett Anderson won a slot in the Chicago Cubs' rotation this spring, a situation conducive to fantasy success. Can that situation outweigh his injury history? If you're a member of the Chicago Cubs' rotation, you automatically have value in fantasy baseball. Each of the team's first four starters have an average draft position (ADP) of 131.4 or lower on ESPN, making them all among the league's top-33 starters. Thursday, another guy joined that group, and it's about time for his ADP to get a jolt, as well. Kyle Hendricks' ADP is 71.8, so he doesn't need any help finding his way onto rosters. Brett Anderson, though? He's owned in 0.8% of leagues on ESPN. Yeah, that's about to change. 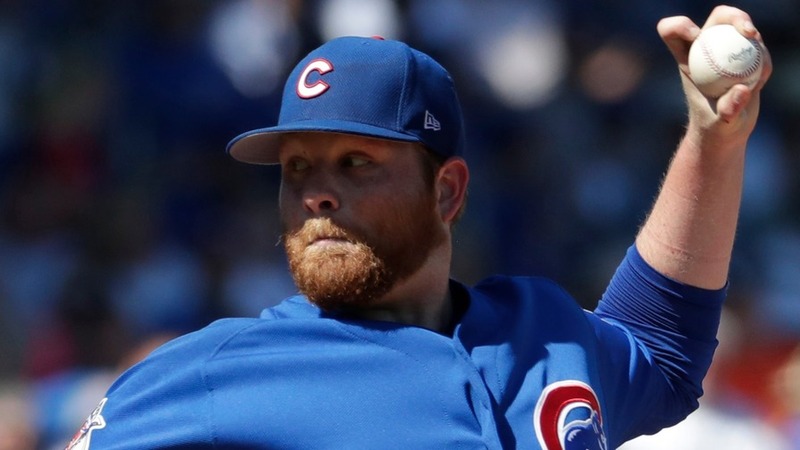 Anderson was battling with Mike Montgomery for the final spot in the Cubs' rotation, and he has a long history of injuries, so it makes sense that he's not an abundantly popular option at the moment. But there are enough perks to being a starter with this team where we need to consider him at the back end of upcoming drafts. Let's take a deeper look at both Anderson and his situation to show why this is a match made in heaven before discussing at what point it's appropriate to plop him on your roster. We haven't gotten to see much of Anderson recently due to injuries, but throughout his career, he has always been successful when his body allowed it. In 685 2/3 career innings, Anderson has a 3.59 skill-interactive ERA (SIERA), thanks in large part to his impeccable ability to induce ground balls. His career ground-ball rate is 58.2%, and he easily led the league in the stat in 2015 at 66.3%. Ground-dwelling creatures beware. In that 2015 season, Anderson was able to work 180 1/3 innings for the Los Angeles Dodgers, finishing with a 3.46 SIERA despite just a 15.5% strikeout rate. He limits walks, and all contact against him is of the soft variety, something that will fit in well with his new squad. The Cubs were outlierishly good defensively in 2016, finishing with an Ultimate Zone Rating (UZR) of 73, according to FanGraphs. The league average is zero, and no other team topped 47.7. Hot diggity. To Anderson's specific benefit, a lot of this came from the dudes in the infield, the area where those ground balls would ideally be going. They were 3rd in UZR at both first base and shortstop, and they were no lower than 11th at any of the four positions. That allowed Hendricks to win the ERA crown last year, and it'll bring Anderson to fantasy relevancy if he stays on the bump. There should certainly be some regression from the Cubs defensively -- outliers are outliers for a reason -- but it hasn't affected how the public is viewing their rotation. Here's where they're all being drafted right now, again coming from ESPN. You're not taking Anderson as high as Lackey's going, but as one of the last picks on the board? That's a gamble we should be willing to take. With Anderson, the elephant in the room is always going to be his health. 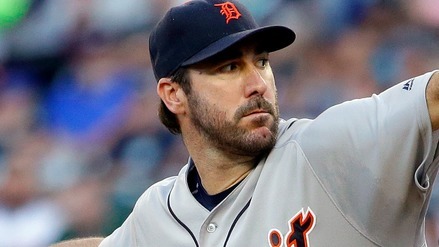 He was held to just 11 1/3 innings last year after back surgery followed by a wrist injury. He has topped 100 innings just once since 2010, most of that due to injury rather than performance. 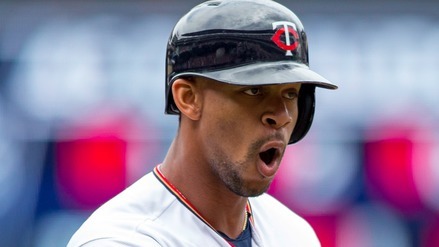 It's hard to get excited about a guy's fantasy stock if he's just going to wind up on your disabled list. Spring has at least been a positive for Anderson in that regard. The results have been poor -- he has allowed 9 runs in 11 1/3 innings -- but he has issued just 2 walks compared to 9 strikeouts. Those are the marks that matter more than runs allowed in spring, and Anderson is faring well. 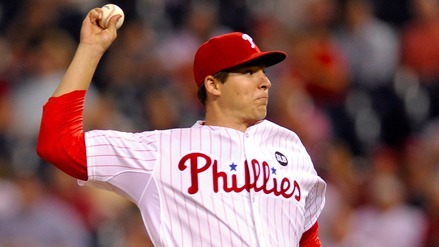 Additionally, the Cubs felt good enough about Anderson's health to plug him into the rotation. Montgomery is a competent alternative, but they opted for Anderson instead. They know enough about his health to entrust him with a starting spot, so we should likely trust the team's judgement there. Although Anderson will be a risk to hit the shelf every time he toes the rubber, that's not something we should fret about too much. Because of the cost it requires to snag Anderson, losing him would not hinder your team in any way. There's almost no downside in taking him late. The upsides of a pitcher like Anderson in this situation, though, are considerable. Every player you take in the late rounds is going to carry risks. They're going at that cost for a reason. Anderson is no different, but his upsides may be beyond that of his peers. Even though Anderson will never be a true ace due to his depressed strikeout rate, his ground-ball rate on a team with tremendous infield defense is lethal. We saw what guys like Hendricks and John Lackey did last year with that group behind them, and Anderson has the ability to do much of the same. If the health issues flare up again, you can simply move on from Anderson and find someone else on the wire. If they don't, and he's able to pitch most of the season, you're likely going to get a player who can get your team wins while dragging down your ERA and WHIP. It's simply a situation where the cost and the upside don't align, making Anderson an obvious option for taking a late-round flier.